I have to admit I'm still enjoying the simplicity of getting dressed for the summer heat. A dress and a pair of sandals, and I'm ready to head out the door. However, I have started seeing a lot of fall collections debuting so the first little bits of excitement for layers and boots and sweater have started creeping into the back of my mind. 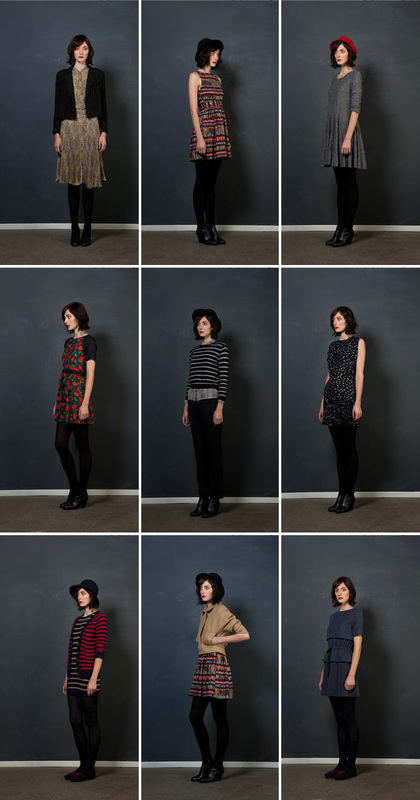 The first collection that really got me thinking about it all is the fall collection from Wren. Looking through my closet, I've been surprised lately at how many bold prints have been sneaking their way in; something I would have avoided completely a year ago. This printed dress is especially tempting to me. that first dress is perfect. love the hemline! I love the collection. Everything in it looks very comfortable and wearable! The dress with the poppies is my personal favorite.